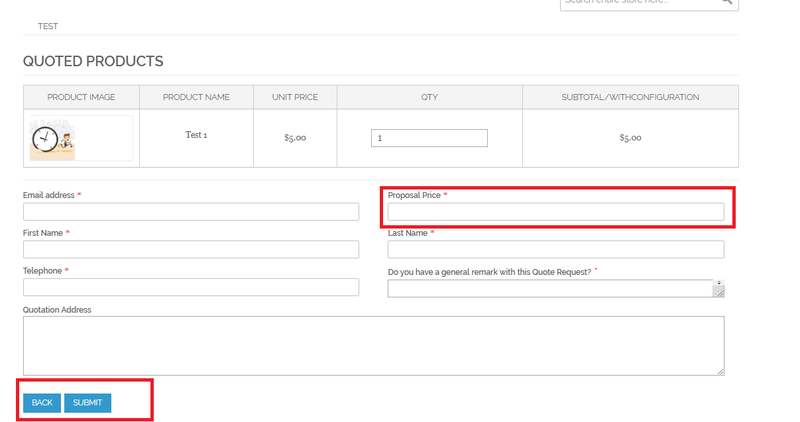 This extension allows customers to request quotes for products instead of adding them to the cart. It will encourage customers to buy more products by allowing them to bargain the price for items. Your customers can suggest the new best price for them and admin can accept/reject, or suggest the new price to customers. SoftProdigy has always focused on endeavoring simplified shopping solutions for users. For some time it is actively participating in creating spectacular e-commerce extensions at affordable prices. It always targets in gratifying its customers. The purpose of the extension is to request the admin regarding price. With this, you encourage customers to buy more products at negotiable prices. How to Create Price Request Quotes? Suppose a product price is $10 but the customer can’t afford it, he can create a quote request. If the admin accepts that proposal then the customer can check out the product with the accepted proposal. With the help of this extension, the customer may buy multiple products at affordable prices. All the created quotations get listed. Works with simple and custom option Magento® product types. Admin has the liability of editing the requested quote for acceptance/rejection. Quote, information is displayed in Magento® backend and is visible to the user. Customers can request for more than one quote once they are logged in. User may set quote comments for sending email as a content. Users may convert quotes to order. Declined: If the admin is not accepting the proposal then the customer can re-quote the request. Accepted: If the admin has accepted the proposal then user has option to checkout from account and if require can re-quote the request. Rejected: If the admin has rejected the quote request then customer can't re-quote request. In this release, only single quantity can be quoted at a time. This extension might work well, and everything is working smooth after a few days of installation. Initially i needed some technical support and the team handled everything well. I have purchased several Magento extension from the company and all of them are working great. Similarly, request a quote is also working amazing as told by the company. This is very useful and must have extension for all stores. I recommend this to all store owners. Thanks SoftProdigy guys for your great support.